Soon school will be back in session and classrooms will open their doors to welcome their students, both new and returning. 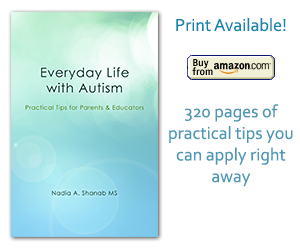 It is never early enough to prepare your child with autism for a new transition in her life. Below you will find some helpful tips to get a smooth start of a new school year. One of the most common traits of autism is the love for sameness and rigidity. Individuals with autism fear change of routine and experiencing new situations. The outcome of a new experience is unpredictable. Routine activities on the other hand are guaranteed to always give the same result. The unpredictable situation requires extra mental processing of information, and more time to adapt and accommodate the new facts. It is an emotionally exhausting process. How can you prepare your child with autism for a new school year–with all its challenges–in a smooth and peaceful way? Take a trip to the school site to familiarize your child with the campus and playground. Have your child spend some time playing and having a good time there. Explain to him or her that this is the new school he or she will be attending. You may even have your child go by bike or scooter, if close enough, to associate some fun with the fact of going to school. It is also a great opportunity to familiarize them with the playground rules. It would be great if you happen to know your child’s classmates. That will allow you to arrange play dates to introduce them to new friends. It is also a great opportunity for you as a parent to connect with other parents. Both of you need each other’s support. Community support groups have an amazingly relieving effect on parents. Solidarity will help you be a stronger and more informed and effective parent. You are not alone! If your child is going to ride the school bus, find songs, stories and books about school buses, and tell them that being on the bus will require them to listen to the bus driver’s instructions and be respectful to all other kids on the bus. For example, if there is an assigned seat for students, your child should comply with the authorities. There is usually a good reason behind the bus seating. Everybody’s safety is a primary concern. Make one change at a time. If your child will have a new babysitter or caregiver, it is preferable that you introduce them to each other promptly. Have them spend some time together in your presence. Prepare a list of your child’s likes and dislikes to share with the staff. Give them enough information that would help them engage with the child based on their special needs. Give them the cues that would help them interact and communicate with them in a pleasant, non-confrontational manner. For instance, give a list of their favorite color, books, toys, games, subjects, rewards and incentives. You may also want to explain some special behaviors to avoid any misunderstanding. If the child is non-verbal, provide the staff with the strategies you use at home that work best. Visuals are always great (signs, symbols, pictures, objects, etc.). Consistency plays a crucial role to discipline your child and avoid them getting in trouble or throwing a needless temper tantrum. School should be a continuation of home and vice versa. Whatever rule is applied at home should also be applied at school. For this to happen you need to be a good communicator. Discipline is key to success. Talk to the teacher and learn about the rules at school and let your child know what rules and strategies you apply at home. Together, agree on a protocol to provide your child with the most appropriate and effective educational plan. If your child is going to school for the first time, he or she might suffer from separation anxiety. Ask the teacher if you could stay in the classroom and then do a gradual withdrawal, until your child gets used to the new environment. This is most helpful for the staff and the child. If your child has a comfort object (cushion, spinner, hand massager) to reduce sensory problems, it might be a good idea to keep another one at school. Those were a few tips that would allow your child to have a smooth transition to enjoy a productive and successful school year. 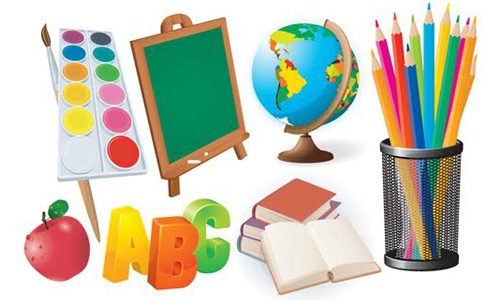 Costco and Walmart are good places to shop for school supplies, in-store and online. Find the original article published in the San José Mercury News. « What Is It Like To Have Autism?